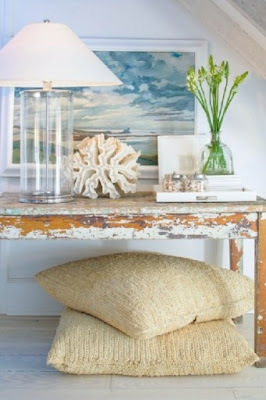 While I live in a beach town I have never wanted to decorate my house in a coastal theme. 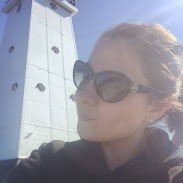 However after dealing with depressing blue and gray rooms all winter long (previous owner colors) I have been working to figure out exactly how I want to paint and decorate each room. 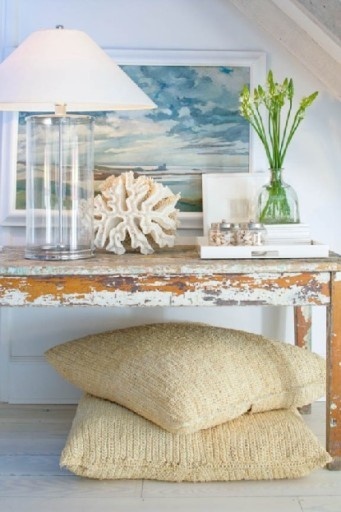 Currently I am working on the upstairs and all my inspiration centers around coastal charm especially when it involves white, neutral hues and browns. 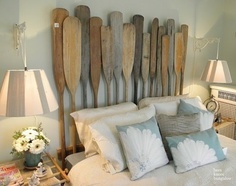 Share lots of pictures of your home! 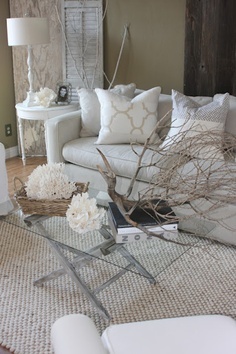 I love the coastal look! Love that last picture! 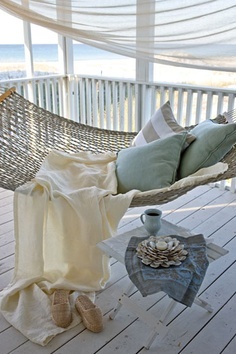 And I totally agree--when I think beachy, I think of cheesy beach house decorations! 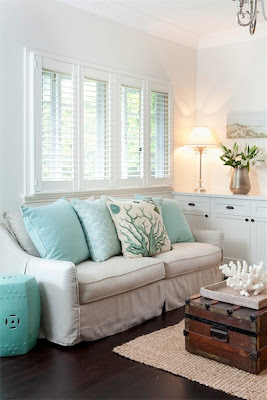 I love the more coastal look, with lots of tans and light blues, though! There's something I really love about the fourth picture down. I just want that vibe everywhere.